Audio Visual Techniques is your complete audio visual equipment rental and sales support provider. When you think of us, think everything related to audio, video, lighting, staging, event services, video production, and equipment rental. Although central Kentucky is our home, to accommodate our clients' needs, we have expanded our service area to encompass the eastern half of the US. We provide lighting, staging, video projection, screens, audio reinforcement, and video production services for professional and corporate applications. 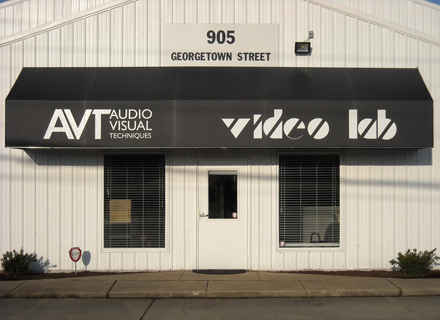 At Audio Visual Techniques we pride ourselves on dedication, service, and our commitment to our customers. We consistently exceed customer expectations by providing successful communication throughout the sales and rental process. With only the newest most dependable technology and reliable industry certified technicians, Audio Visual Techniques is the logical choice for your next event. By asking questions and getting to know our customers right away, we ensure that they will get the right equipment they need every time. That makes for a smooth transaction, a successful audio/video presentation, and accounts for why we have so many repeat customers. If you have a large scale rental or service need, we can handle it, but we have just as much to offer those conducting smaller events. In either case, we will provide you with the hardware and service you need at an affordable price and in a professional manner. Choose AVT and experience the positive difference at your next function. We'll make sure you sound fantastic with our full-scale audio services. Crisp images, screens that fit the size of the room, and full technical solutions to deliver the video to the screen. Make your video the best it can be by relying on our expertise, technical sense, and professional tools. © 2019 Audio Visual Techniques. All rights reserved.